TMD, or temporomandibular disfunction, is a condition that happens when the joint is not working properly. This group of diseases can be found in the jaw joints, the muscles, and the dental occlusion. TMD occurs when there is any kind of imbalance in the joints or muscles that control the jaw. If you have TMD, you might notice muscle fatigues, joint dysfunction, or shifts in the teeth placement. Once you have TMD, you have a higher risk of getting occlusal bite disease. This disorder can also develop in people who do not already have TMD. Occlusal bite disease could cause wear, sensitivity, and cracks in the teeth. It might also lead to breaks in the teeth, soreness in the muscles, or headaches. Dentists often use splint therapy for patients who have occlusal bite disease and TMD. The patient is fitted with an acrylic appliance that slips over the bottom teeth to compensate for imperfections in the joint. Many patients experience immediate relief from their symptoms as soon as they are fitted with this splint. 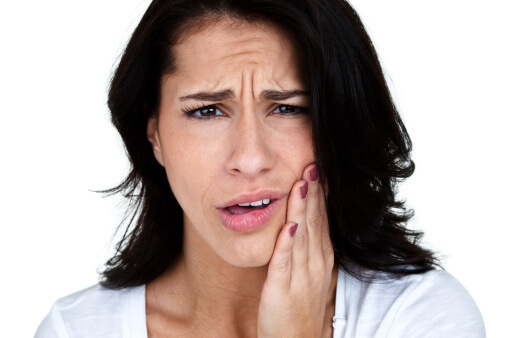 If you think you might be suffering from TMD or occlusal bite disease, John Carson, DDS can help. Come in today to for your personalized evaluation For more information on our services, visit us online or call (520) 514-7203. Without the proper attention, periodontal disease will continue to get worse and might eventually lead to tooth loss, bleeding gums, or a host of other serious health issues. Use this guide to learn more about the disease, how to treat it, and what you can do to prevent it in the first place. If the dentist determines that you have periodontal disease, the first course of treatment is usually scaling and root planning (SRP). A dental hygienist actually removes bacterial plaque biofilms and calcified plaque that has fallen beneath the gums to solve issues resulting from infection and inflammation. This method of treatment is considered active therapy. Once the area beneath the gums is clear of bacteria and plaque, the dental hygienist can administer an antibiotic treatment to help kill any bacteria that have made their way into the periodontal pocket. After the area is treated, the patient then receives supportive therapy, which includes periodontal maintenance that works to prevent another infection from developing. Before you develop the need to get to the treatment step, improve your oral hygiene routine so you do not even get periodontal disease. Brush your teeth at least twice a day for two-minute intervals to clear out food and plaque before they lead to an infection. Floss at least once daily to get any particles you may have missed when brushing. You should also use mouthwash to kill any bad bacteria that could be festering in your mouth after you brush and floss. With the preventative dentistry and periodontal treatment available from John Carson, DDS, you can ensure that your entire mouth stays healthy. We offer gum treatment, cleanings, and digital X-rays to get to the root of your problems and find the proper treatment. To learn more about our services or to make an appointment with one of the top dentists in Tucson, call (520) 514-7203. If you are missing one or more teeth, dental implants can provide a permanent solution that helps you get the smile you want. These artificial tooth roots improve the aesthetics of your smile while helping you avoid some serious oral health issues. Talk to your dentist about how dental implants can help you and use this guide to prepare for the surgery. Before the dentist starts the implant process, he or she will give you a thorough examination to see the exact condition of your mouth. This will include a full set of dental X-rays as well as models of your teeth and the rest of your mouth that help the dentist move on to the next step. The amount of teeth you are missing and the condition of your jawbone affect how the dentist decides to continue the implant process after the exam. If your jaw is not strong enough to hold the implants, you might need a bone grafting before you can get the surgery. By determining your specific needs, the dental team can cater your treatment plan to you and bring you the best results. It is extremely important that your dentist knows all about your medical history and any medications that you are currently taking. Be honest about all prescription and over-the-counter medicines as well as any supplements that you take on a regular basis. Once the dentist knows a thorough medical history, he or she can figure out the best kind of anesthesia options to use for your surgery. John Carson, DDS is committed to giving every patient personalized care to help them achieve their ideal smile. 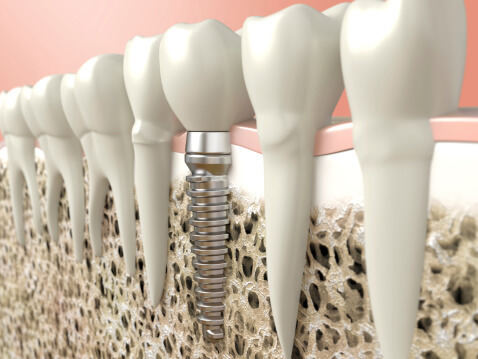 If you think that dental implants can solve your issues with missing teeth, come in today for a consultation so we can work with you to find the right treatment. Call (520) 514-7203 to schedule an appointment in our Tucson office. No one wants to sit in the dentist’s chair and find out that they have a cavity. The best way to avoid this unfortunately common oral health issue is to learn how cavities occur so you can take the proper measures to prevent them. Keep reading to learn more about this form of tooth decay and what you can do to stop it. Everyone has a variety of bacteria in the mouth the serve different purposes. Some of these bacteria are good, but others, such as streptococcus mutans and Lactobacilli, can lead to tooth decay. Eating food that is high in sugar or starch gives the bad bacteria the sustenance it needs to produce acids that can break down your teeth and lead to cavities. Candy and other sweets are not the only foods that provide this fuel, however; basically any kind of carbohydrate can cause problems with cavities without the proper care. It is extremely difficult to avoid eating any kind of food that might potentially harm your teeth, but you can fight against these bacteria with a thorough oral hygiene routine. People who do not properly brush or floss their teeth increase their risk for cavities because the bacteria have access to the sugary and starchy foods that can cause tooth decay. Regularly cleaning your teeth helps you fight against this decay. Preventative dentistry can help you thwart cavities and keep your mouth healthy. If you avoid regular appointments with the dentist, you could be increasing your risk for cavities. Schedule two checkup visits every year so the dentist can look at your teeth and make sure there are no early signs of decay. 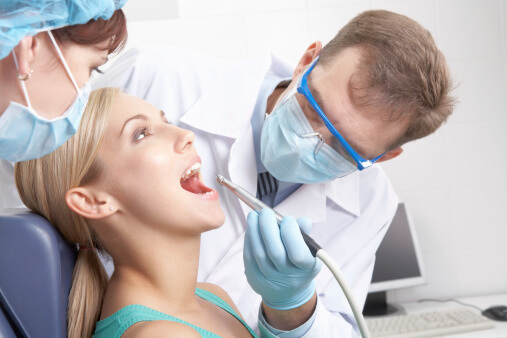 Do not wait until you have a cavity to schedule a dental appointment. Come see John Carson, DDS to get some of the best oral care in Tucson. We provide preventative dentistry and teeth whitening services to help you get a brighter, healthier smile. To learn more about our office or to schedule an appointment, call (520) 514-7203. Brushing your teeth is an integral aspect of maintaining good oral health. In order to get the most benefit from this daily ritual, however, you have to do it right. Keep reading to learn about common tooth brushing mistakes that you should avoid when trying to clean your teeth. Toothbrushes come in all shapes and sizes for a reason. It is important to take the time to find a brush that really contours to your mouth so it can give you the deepest clean. Talk to your dentist about the different kinds of toothbrushes that are available so you can get advice about which one to choose for your needs. Even if you are using the right toothbrush, it will not be as effective as it should be unless you use it for the right amount of time. Each time you brush your teeth, you should do it for at least two minutes. Dentists recommend that you brush your teeth at least twice a day, but also say that three times is even more beneficial. Make an effort to improve the way you brush your teeth so you can get a smile that really sparkles. Your toothbrush should work its way around your entire mouth and hit every single tooth. Try to remember to brush the front, the back, and the sides of all of your teeth so you have a better chance of getting rid of food and plaque before they start to cause tooth decay. When you choose John Carson, DDS as your dentist in Tucson, you get personalized care that helps you find your way to beautiful, healthy teeth. 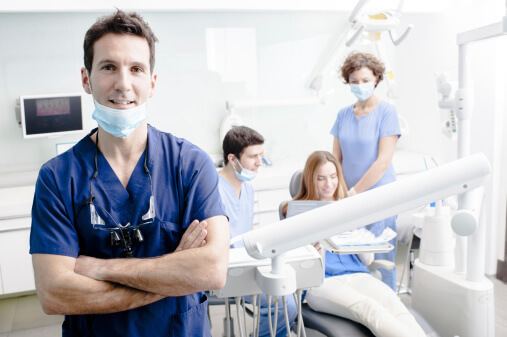 From general to cosmetic dentistry, we provide the services you need to learn how to maintain your oral hygiene. To learn more about our dental office, call (520) 514-7203. Every time you laugh, talk, or chew, you are putting a great amount of stress on the teeth that could eventually cause wear and tear. If your smile is starting to show signs of this stress, porcelain dental crowns could help improve the look and feel of your teeth. Keep reading to find out how. If discoloration, chipping, or cracking make you feel self-conscious about your smile, porcelain dental crowns might be just what you need to re-boost your confidence. Since they can be shaded to match the rest of your teeth, they offer a premium cosmetic solution that allows you to feel good about your smile. Porcelain is an extremely durable material, which makes it an ideal option for your oral issues. When you get a porcelain crown, in many cases you instantly add strength and resilience to an area of the mouth that was once weak. This tooth replacement looks and in many cases acts very similarly to a natural tooth, which helps you maintain a smile of which you can be proud. Porcelain dental crowns are often used when decay has greatly damaged a tooth, when an injury has displaced one or more teeth, or when enamel erosion destroys the integrity of a tooth. They might also be a good solution for someone who has ground their teeth so much that they actually changed the structure and shape of the tooth. This dental solution provides the aesthetic and function of a natural tooth so you can smile freely and confidently. John Carson, DDS is one of the best dentists in Tucson because he does everything he can to make oral health easy and convenient for his patients. Thanks to the CEREC™ system, he can create a custom porcelain crown in just one visit so you can get the smile you want without sacrificing a lot of time. To learn more or to make an appointment, call (520) 514-7203.